We are about to close the history book on another year. I like the way we mark time by days and months and years. It gives us a way to neatly chronicle the happenings of everyday life into chapters and columns. 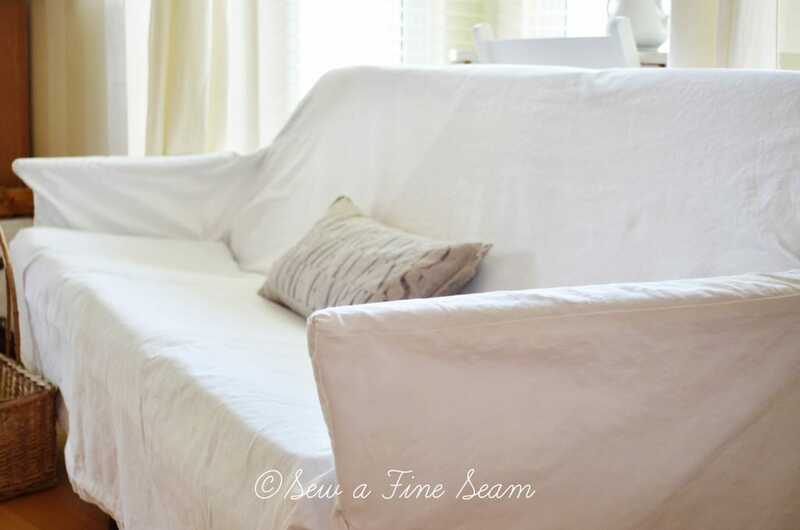 In January Aimee from It’s Overflowing asked me to be part of her Home Tours Series so I put together a post that featured as much of my home as I could make look pretty and presentable. 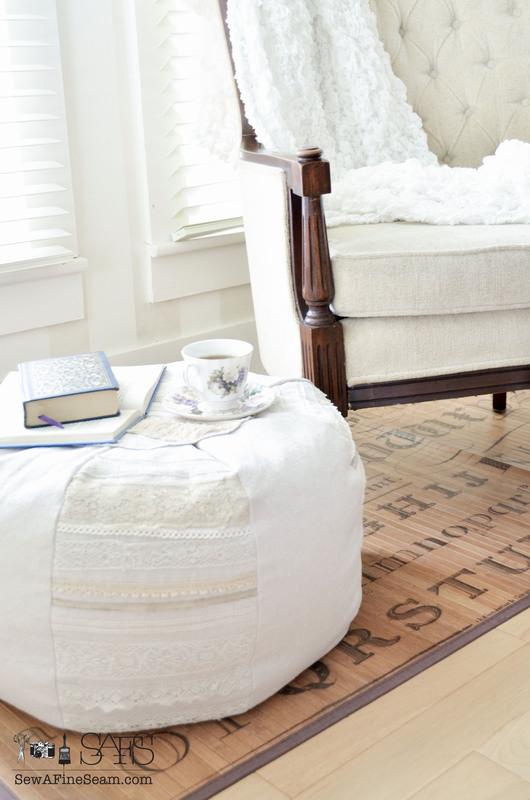 You can find the feature on Aimee’s blog – Home Tours – Farmhouse Style. It was fun to scroll through the photos from a year ago and see what all has changed about our home over the past 12 months. I talked a bit about my Grandma’s things and memories of her as she had flown free of this life into the arms of Jesus in Early December 2012. 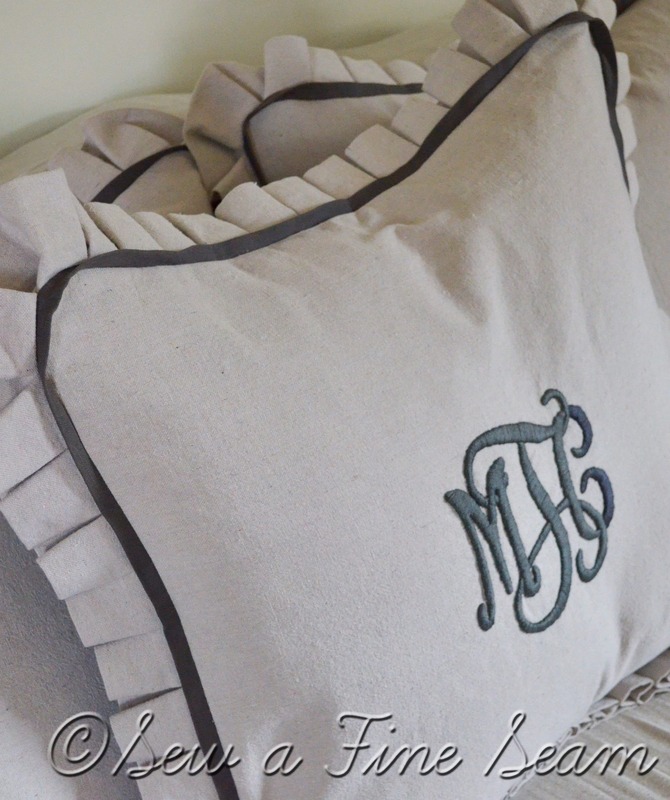 In February I made some pillows for Melaine at My Sweet Savannah. I handstitched a monogram on one of them and it turned out lovely and looks delightful in Melaine’s home. 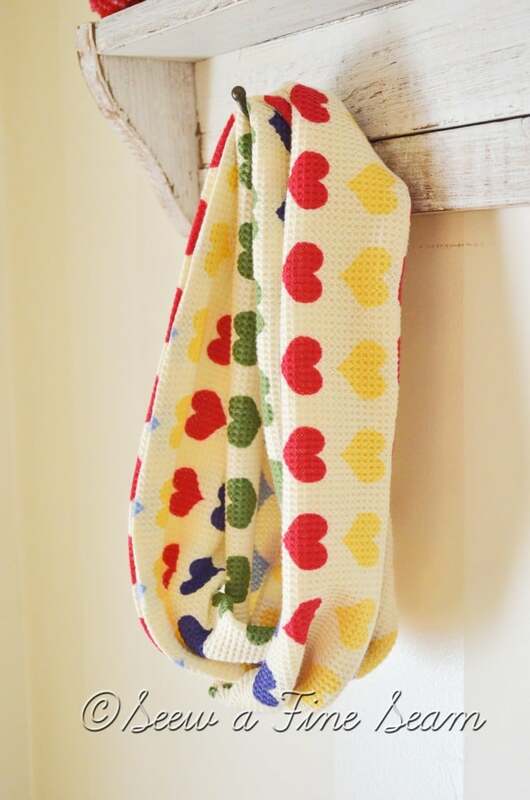 I made this adorable scarf for one of our favorite little friends. I stitched Africa on a jacket for a sweet little baby. I altered a homecoming dress making it much more modest and beautiful! 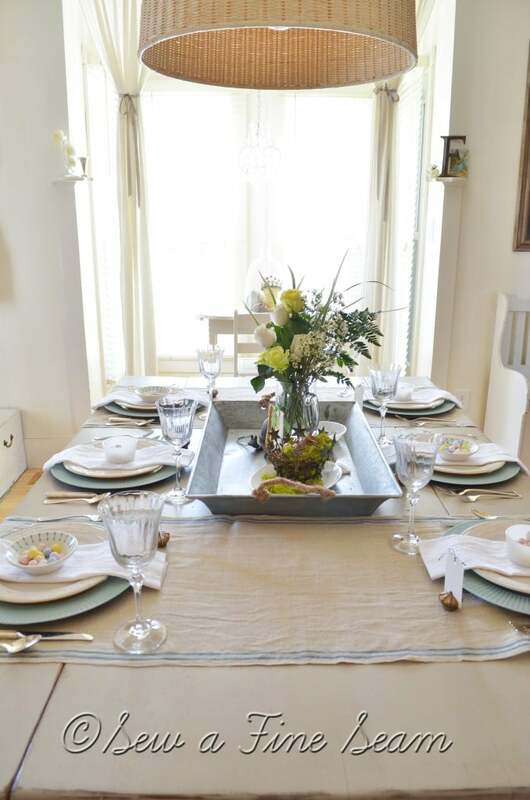 I set up a fun Spring Tablescape just for the blog. I posted an apron tutorial that I had originally put together for a guest post over at Redoux. Jennifer Carroll launched her magazine Celebrating Everyday Life and I was along for the ride as one of the contributors! To say that I have been thrilled and honored to be a part of this team is very much a huge understatement. 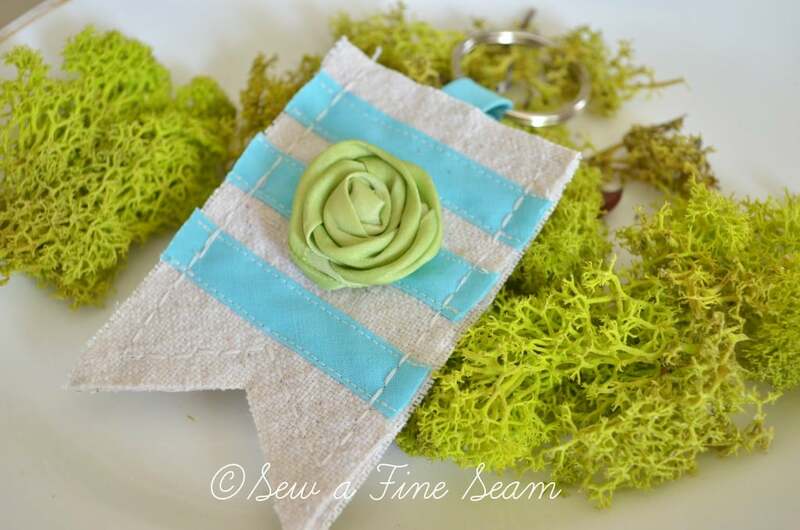 My first project was these key fobs. 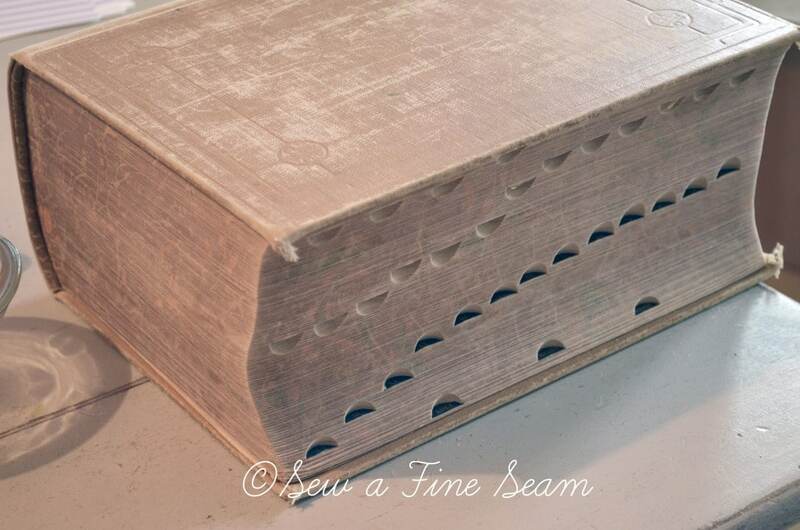 My Roman Shade Tutorial has been my most viewed post of the year. 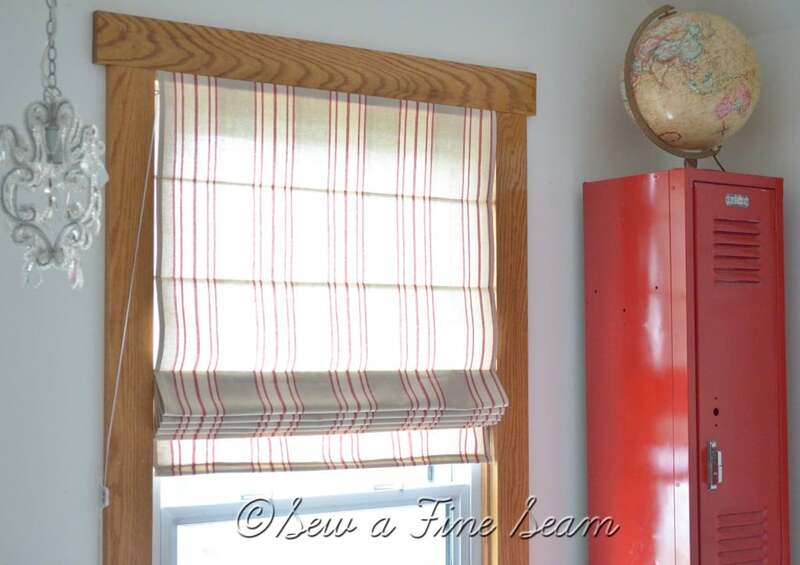 Roman shades are so easy to make and I have a step by step process complete with photos! 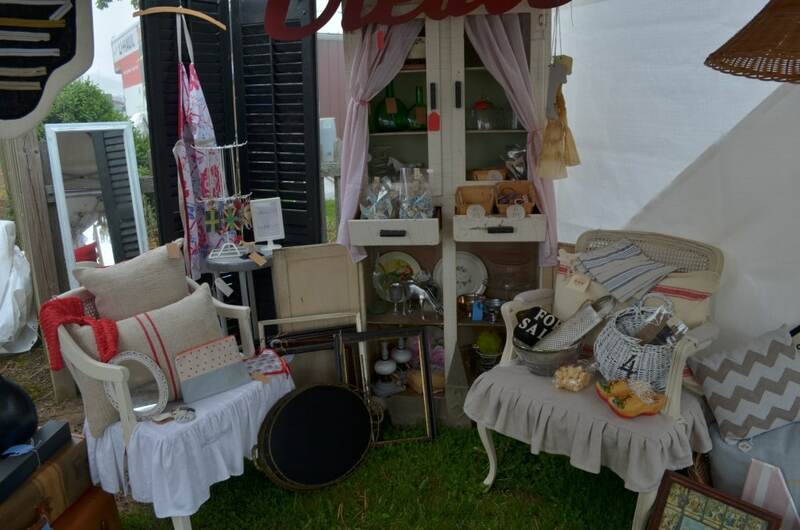 In May my friend Marcy, and I set up shop at the Springfield flea market. 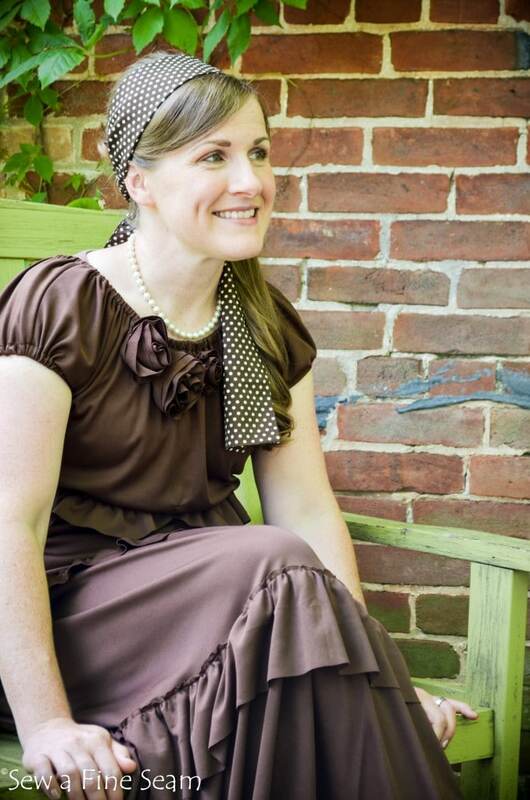 I made 5 brides maid dresses for a very good friend’s daughter’s wedding. 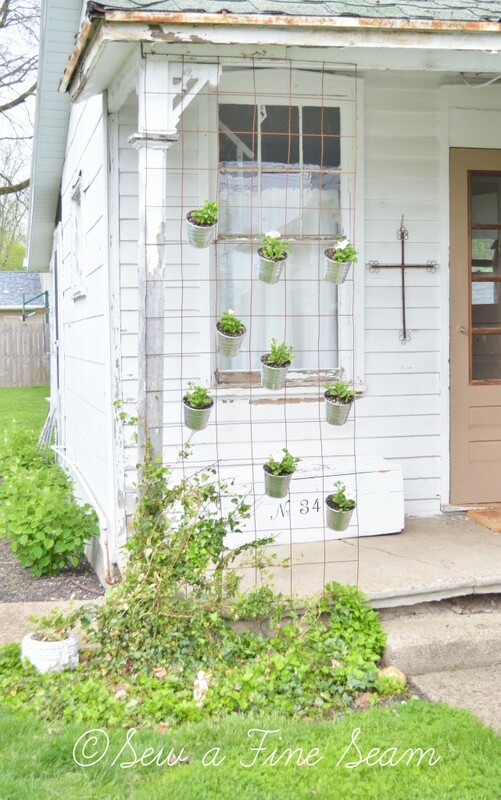 I created a hanging planter that I called my Rusty Fence project. 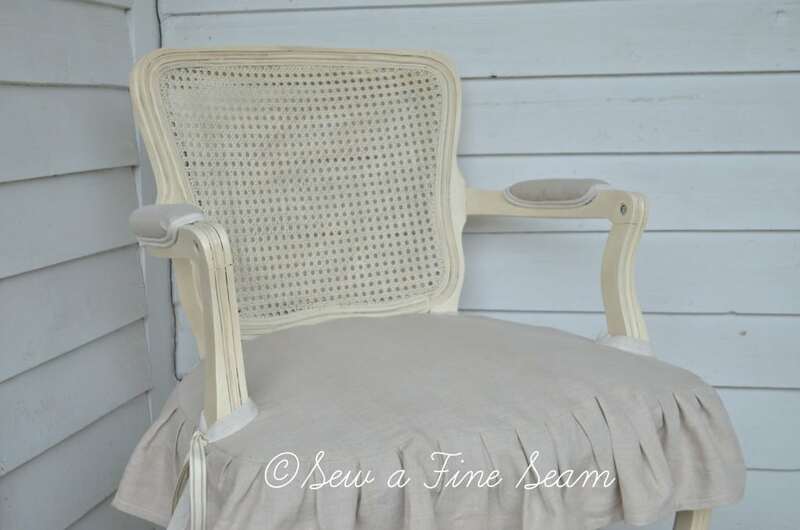 This French Chair was a fun makeover and one of my favs. 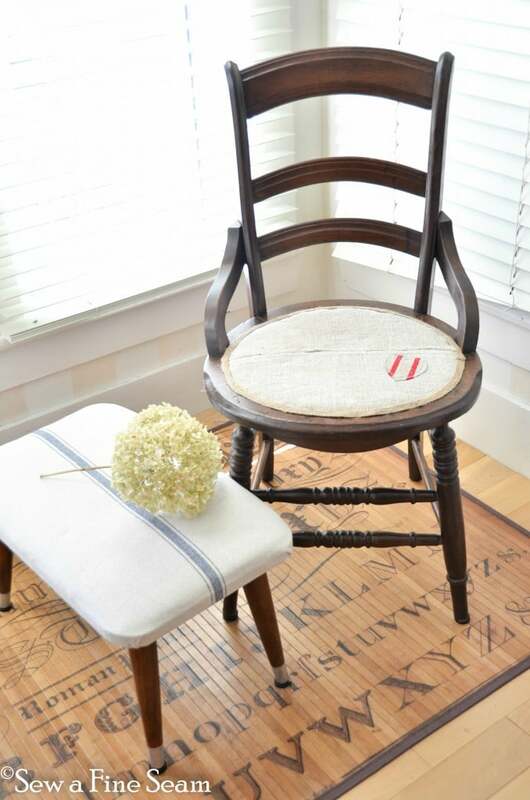 Chairs are a weakness of mine – I’m always dragging them home and giving them a makover. 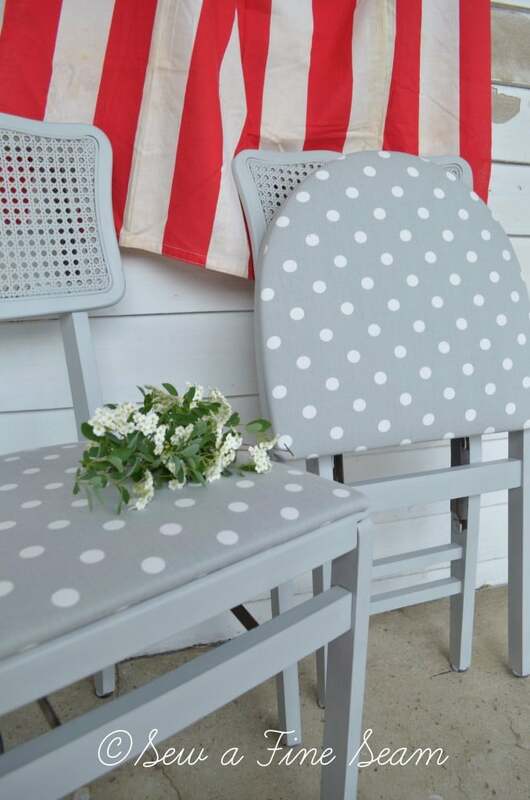 These folding chairs turned out so cute I almost wish I had kept them. 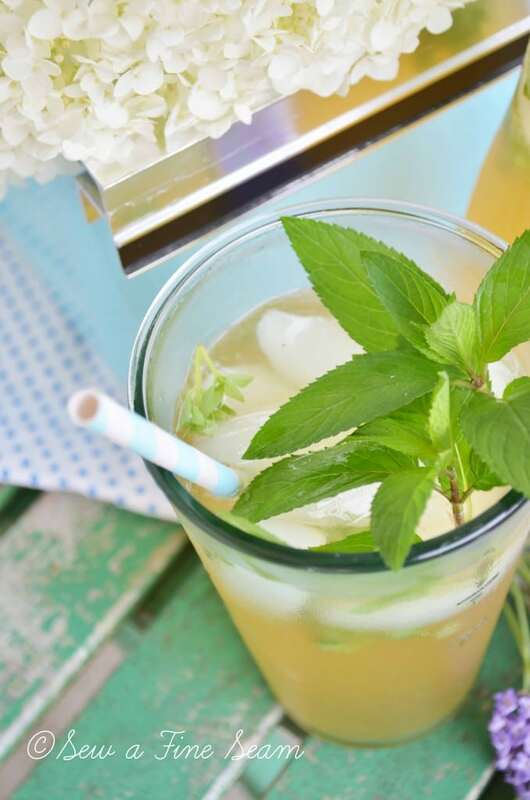 In June I shared how I made Sweet Tea with lemonade and basil. I miss Summer so much – can’t wait to enjoy the warm weather and a yummy cool drink again. 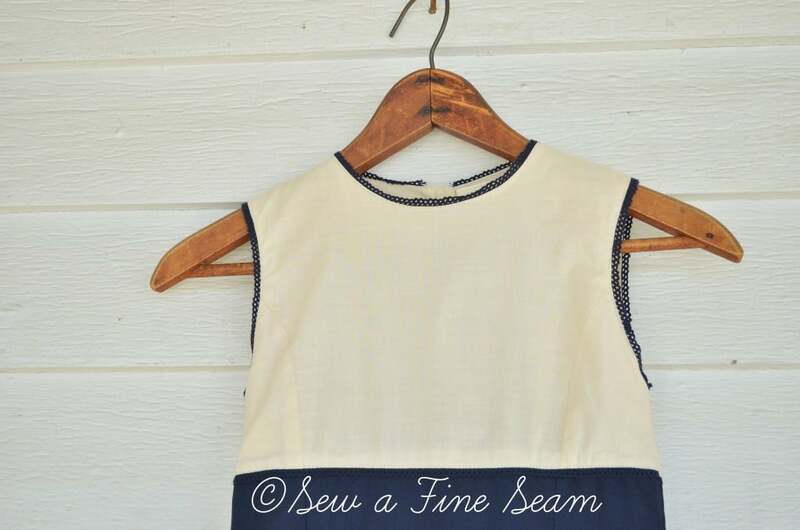 Another post that has been very popular and received a lot of traffic is the tutorial on how I altered this dress and took it down a couple sizes. This chair was one of the most fun projects I did this year! 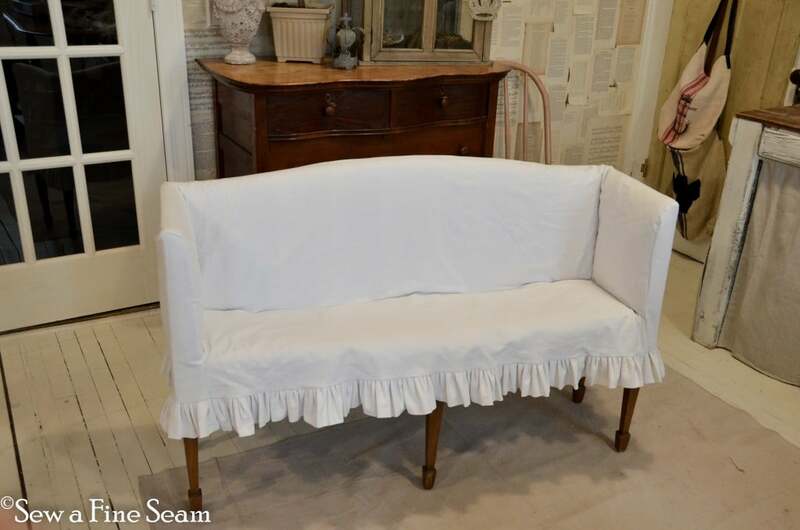 Vinyl upholstery that was looking very tired was refreshed with Annie Sloan Chalk paint in Pure White. 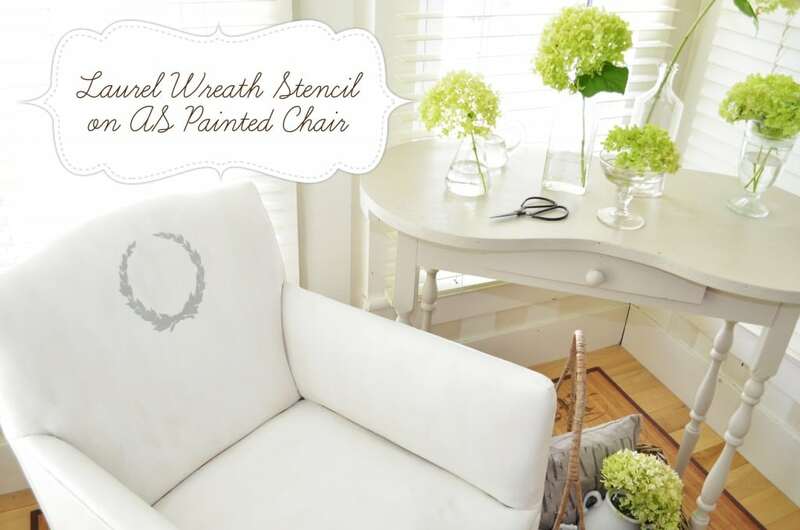 I added a laurel wreath stencil – stencil is from Royal Designs Studio. 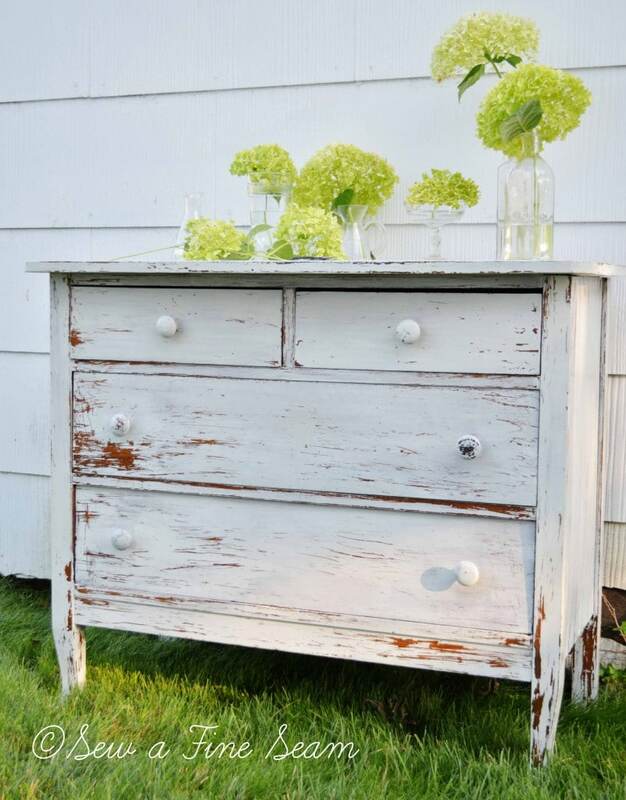 I started using Miss Mustard Seed’s Milk Paint – and fell. in. love. I started putting some of my handmade items and my painted pieces in a shop in Tipp City. This ruffled dress for a friend turned out stunning on her! 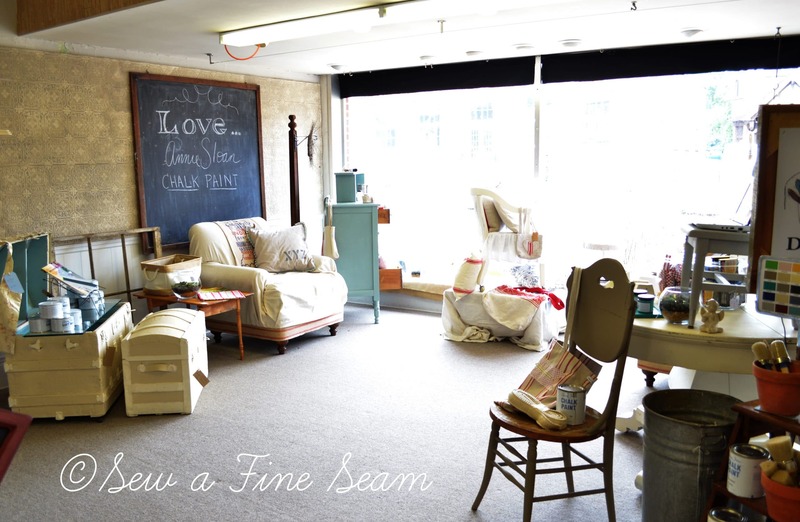 In September Marcy and I once again had a pop-up shop at the Springfield flea. I showed a bunch of the before and afters of my creations in one post. 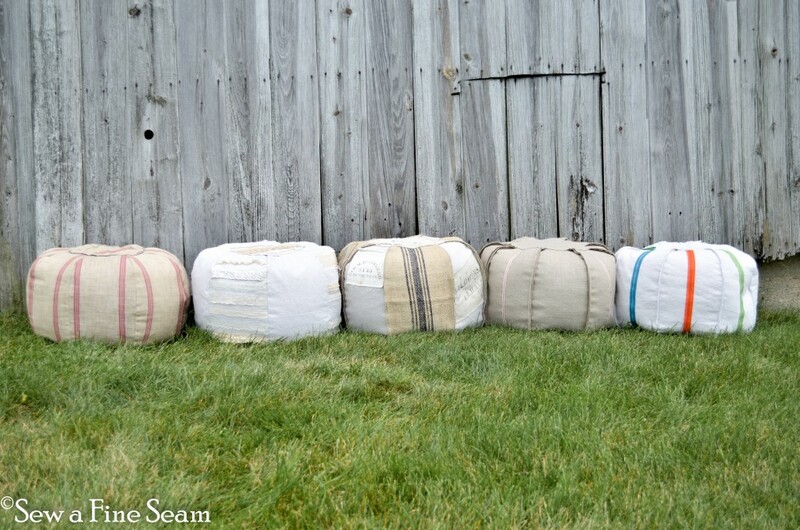 Another of my favs was the pouffe project I did for Melaine from My Sweet Savannah. It was also my feature for the Sept/Oct issue of Celebrating Everyday Life. One of the highlights of my year was getting to help photograph this wonderful wedding. My family and I went on a vacation to Wisconsin. We stayed with a friend of mine for a couple days. 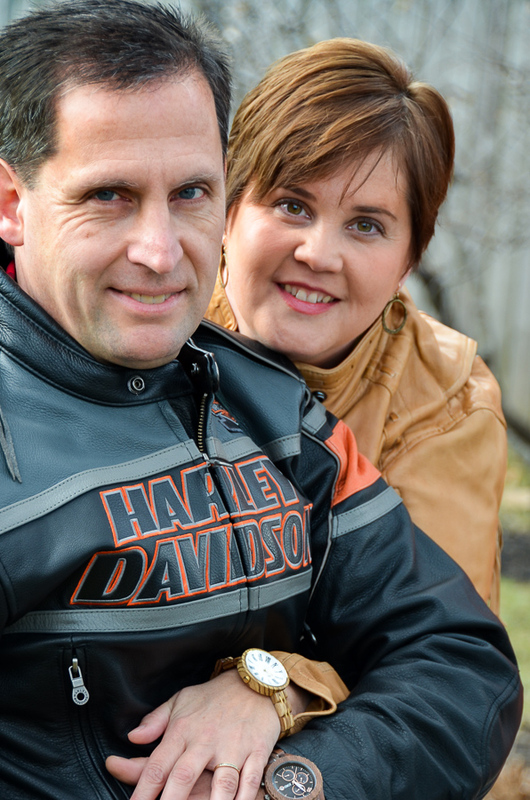 A friend I’d found through blogging – Laura from The Ironstone Nest. 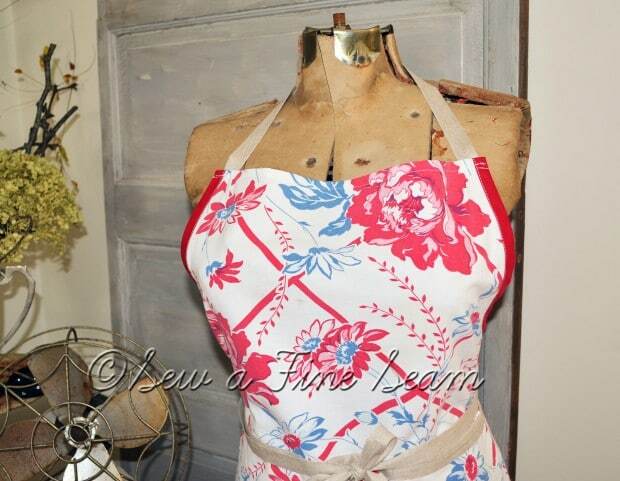 I made her this slipcover and she gave me some lessons in using milk paint. Ah, December. The most wonderful time of the year. I love the Christmas season – everything about it. You can see my decor here and here and my home tour that was part of a Holiday Home Tour hosted by Beth of Unskinny Boppy. You can see 2 homes of my friends that I decorated here and here. And another friend who did her own amazing Christmas decor and let me photograph it and share it here. I did a little tutorial on German Glass glitter and a nutcracker here. 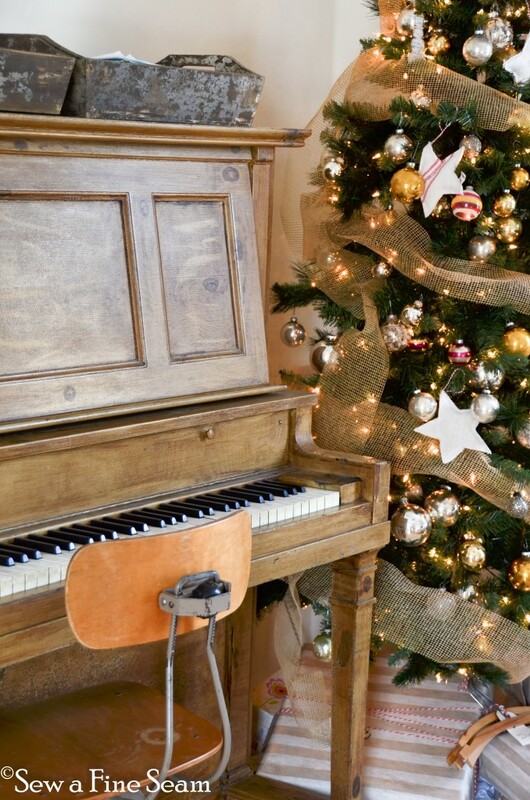 And I shared a few Christmas Decor tips here. It’s been a wonderful year, full of God’s blessings and I praise Him for each second. And I’d like to thank all my blog friends, in-real-life friends, and all the rest of you who read my blog, leave comments, share my posts, and encourage me in ways you don’t even realize! God has been very good to me. No wonder we haven’t gone thrifting lately! Wow!! You had an incredible year! And a busy one too, Jill! Best wishes for a prosperous and Blessed New Year! How did you do it all in one year Jill? You must have stopped sleeping for while to get all that done. The part that would have made me nervous was making all those gorgeous brides maid dresses, that fabric isn’t easy to work with, at least for me. 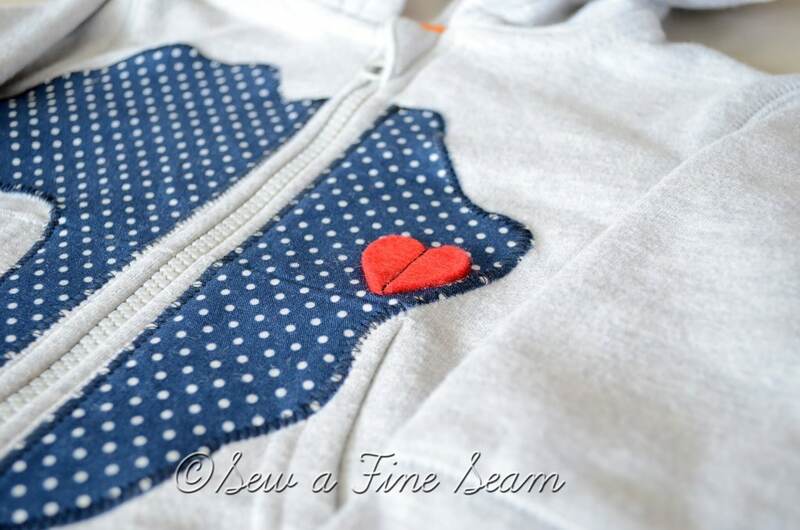 You are the sewing dynamo. I loved all your projects, wish I could go to the shops you sell at and the shows, I saw a few things I’d love to have. Love your blog, you inspire me no end. Wishing you and yours a very happy healthy New Year. What an amazing year for you. Thank you for sharing! Jill this was so much fun to look at the highlights of 2012! You make such beautiful things and your photographs are so gorgeous too. I missed the Pouf post!! I am definitely checking that out. 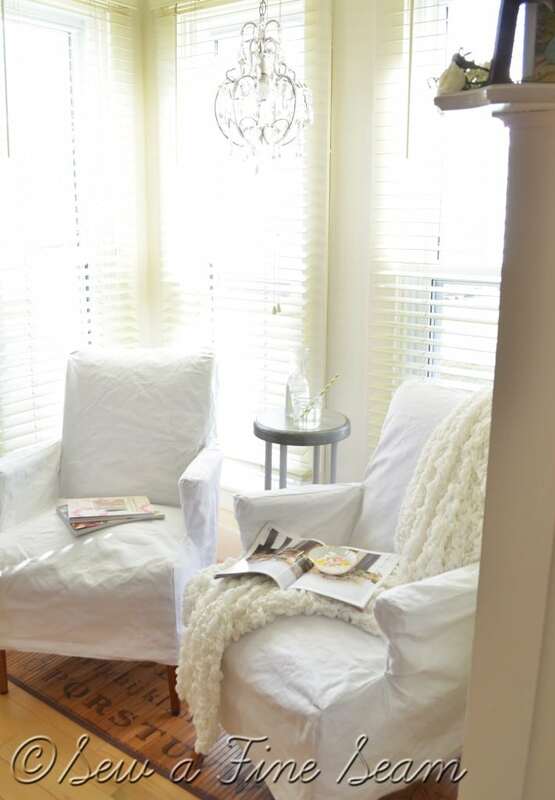 Roman Shades are on my list of DIY for my home for 2014, so that post is definitely getting pinned too. Hope you have a wonderful New Year! It has been such a blessing and treat to get to know you a bit through blogging this year. 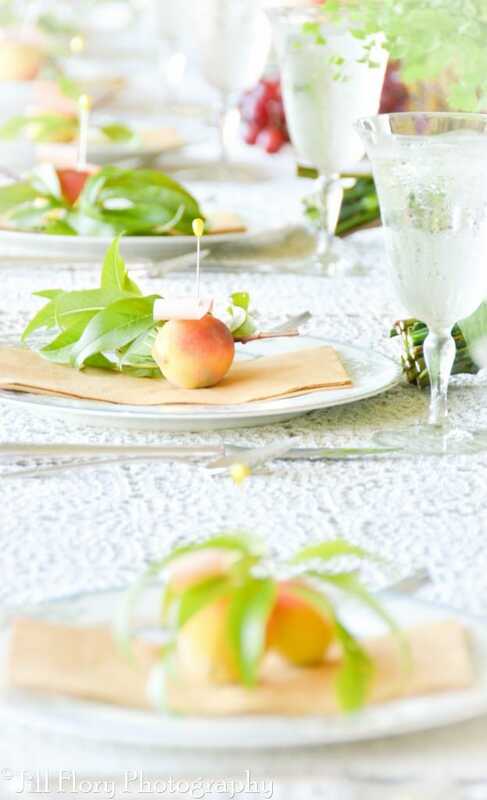 Here is to a beautiful and bountiful 2014!